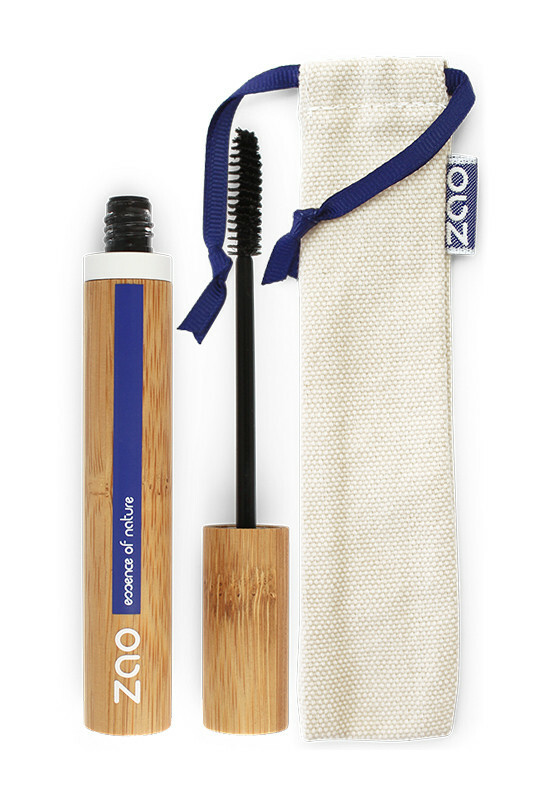 The Zao Refillable Natural Mascara gives intensity to your eyes for voluminous lashes! It combines comfort and absolute precision thanks to a 100% natural formula with aloe vera, shea butter and organic castor oil. It is a real nourishing care for your lashes and is suitable for sensitive eyes. Intense colour and long lasting, the spiral brush of Zao Organic Refillable Mascara with Aloe Vera wraps every lash one-by-one. 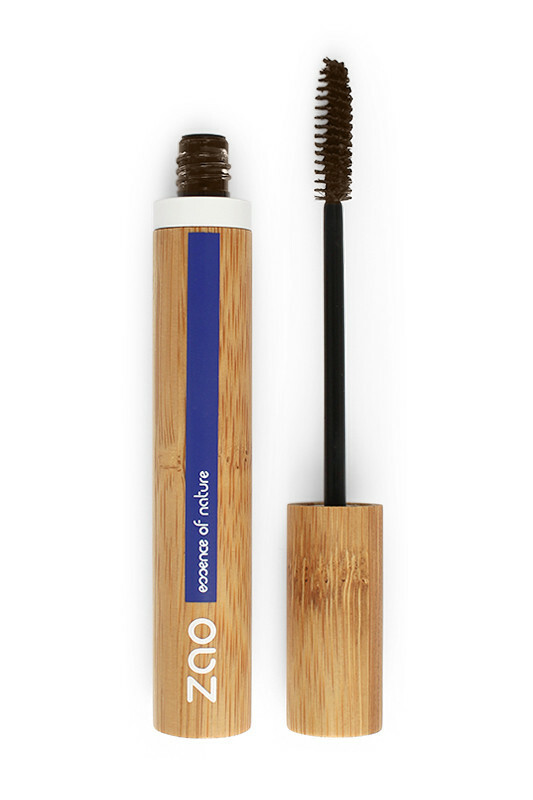 The Zao Definition & Comfort Mascara is refillable: once your mascara is finished, buy the ecological refill for an ultra-defined and infinitely sublimated look! 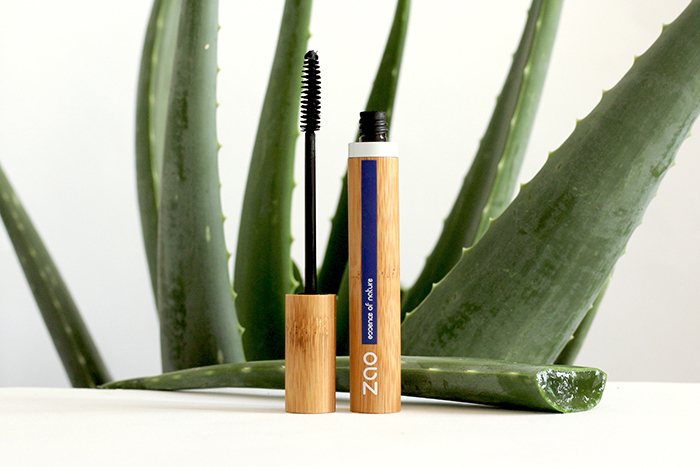 Structure your lashes for an intense look with ZAO Vegan Aloe Vera Mascara! Apply ZAO Natural Definition & Comfort Mascara at the base of the lashes, using light zigzag strokes with the brush, working up to the tip. This technique helps to separate the lashes and create a splendid panoramic effect! For more drama, add a second layer before the first one gets dry. How to change your ZAO Organic Refillable Mascara? 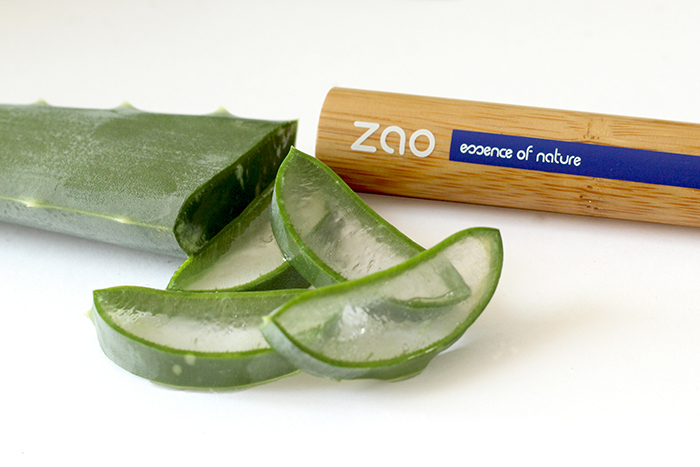 ZAO Vegan Mascara with Aloe Vera is 100% natural! INCI: ALOE BARBADENSIS LEAF JUICE*, HYDROLYZED CORN STARCH, GLYCERIN**, ACACIA SENEGAL GUM*, STEARIC ACID, BUTYROSPERMUM PARKII BUTTER (BUTYROSPERMUM PARKII (SHEA) BUTTER)*, CERA CARNAUBA (COPERNICIA CERIFERA (CARNAUBA) WAX)*, GLYCERYL STEARATE, MAGNESIUM ALUMINIUM SILICATE, RICINUS COMMUNIS SEED OIL (RICINUS COMMUNIS (CASTOR) SEED OIL)*, CANDELILLA CERA (EUPHORBIA CERIFERA (CANDELILLA) WAX), PERFUME (FRAGRANCE), BAMBUSA VULGARIS LEAF EXTRACT*, TOCOPHEROL, CI 77820 (SILVER), SODIUM HYDROXIDE. MAY CONTAIN +/-: CI 77491 (IRON OXIDES), CI 77492 (IRON OXIDES), CI 77499 (IRON OXIDES). COSMOS ORGANIC certified by Ecocert Greenlife according to COSMOS standards. Encore une fois très déçue par les mascaras ZAO. 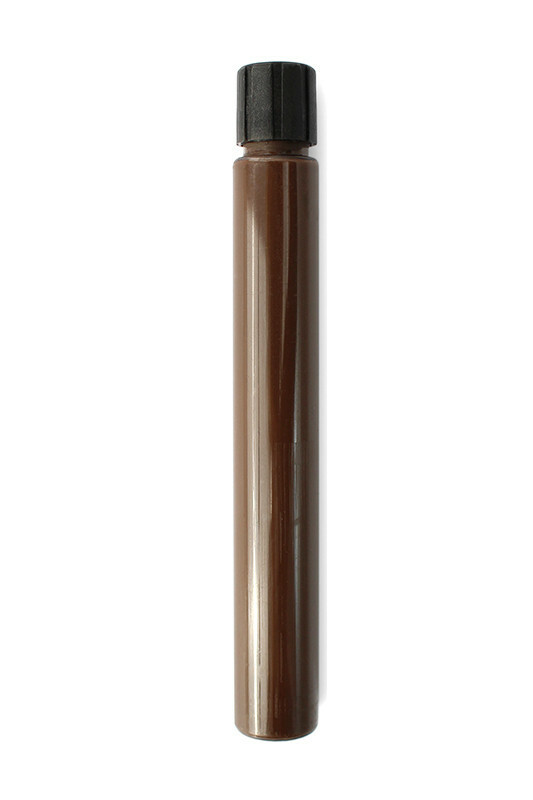 Autant j'ai aimé tous les autres produits testés chez eux, autant leurs mascaras sont une catastrophe pour moi. Concernant celui-ci, il n'apporte aucune courbure, n'allonge pas et n’épaissit pas. Au mieux, il rend les cils plus noirs. De plus, il coule, pique et ne sèche mal sur les cils. Certes le principe de la recharge est bonne mais encore faut il vouloir racheter ce produit. Pour un prix semblable, le Lily Lolo est tellement plus satisfaisant. En conclusion : un achat inutile.